Sega will be releasing a new Sonic game this year. 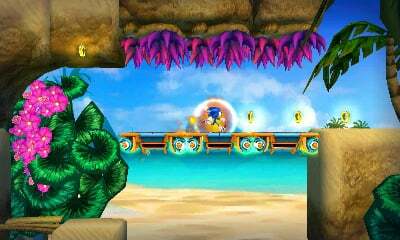 Sonic Boom: Fire & Ice is expected to launch on 3DS during the holiday season. "Developed by Sanzaru Games Inc., Sonic Boom: Fire & Ice is a single player game with collaborative gameplay components that shares key characters, events, and lore of the Sonic Boom universe," Sega said today on their blog. "Players will see Sonic and his friends in familiar settings as they embark on a brand new adventure to battle Dr. Eggman as well as an all-new super villain, D-Fekt. The team’s adventures will bring them to locations both familiar and new as they explore, race and protect their world." 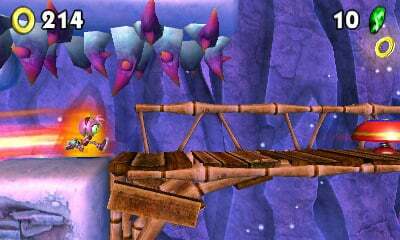 During the game, players will have access to new fire and ice abilities. These allow the player to manipulate the environment in new ways. In the trailer, we see Sonic creating ice underneath his feet while running around with a frost aura. When he's covered in flames, he can plow through ice. The campaign is accompanied by a new Bot Racing mode. 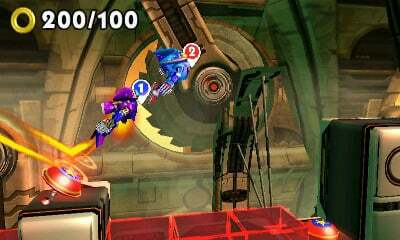 In this competitive mode, players must speed their way through courses and unlock new Bots based on Sonic characters. They can then challenge their friends to beat their times. While Fire & Ice won't be out until this fall, Sonic fans will have something new to look forward to this summer. Sega's planning to release a special app for iOS and Android called Sonic Central. It serves as a sort of mobile hub for the franchise. "This one-stop-shop for all things Sonic will have exclusive art and wallpapers, character information, clips from the animated series, concept art, and info on the latest games. Sonic Pix, a unique function within the app, will let you get creative by including Sonic and friends in photos you take with your phone!" I'm a bit surprised that Sega's making another Sonic Boom considering their retreat from console gaming and the horrible sales of the previous Boom titles. However, the Sonic Boom TV show is still going so I suppose Sega thinks another tie-in game to boost its profile is worth the money. Let's hope this latest game ends up being worth Sonic fans' time.